What should you do if you get sick? 3. Take some high doses of vitamin C or eat lots of Vitamin C enriched fruits. 4. Medication: some fever lowering medication like Tylenol and decongestant might be helpful to ease the symptoms. 5. Stay away from others as much as possible to keep from infecting them. If you must leave home, for example to get medical care, wear a facemask if you have one, or cover coughs and sneezes with a tissue. Wash your hands often to keep from spreading flu to others. If, however, you have symptoms of flu and are in a high risk group, are very sick or worried about your illness, contact your doctor. 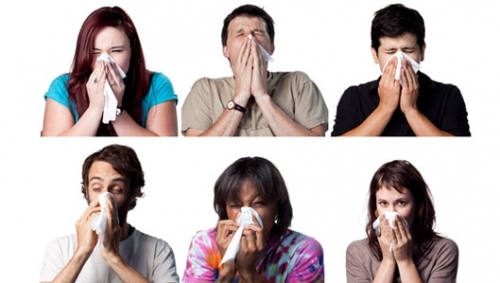 Certain people are at greater risk of serious flu-related complications (including young children, elderly persons, pregnant women, patient with heart disease and people with certain long-term medical conditions: If you are in the high risk group and develop flu symptoms, it’s best for you to contact your doctor. There is no need to go to doctor if you are only a little sick with flu, if you have the following sign and symptoms you might need to seek emergency care. If you have warning signs as above, you should go to the emergency room, or seek advice from your doctor/ professional health care provider. There are drugs your doctor may prescribe for treating the flu called “antivirals.” These drugs can make you better faster and may also prevent serious complications. In the other hand it may as well has side effect and not necessary in most mild-moderate severe flu. How long should you stay home if you are sick with flu? CDC recommends that you stay home for at least 24 hours after your fever is gone except to get medical care or other necessities. Your fever should be gone without the use of a fever-reducing medicine, such as Tylenol®. You should stay home from work, school, travel, shopping, social events, and public gatherings.